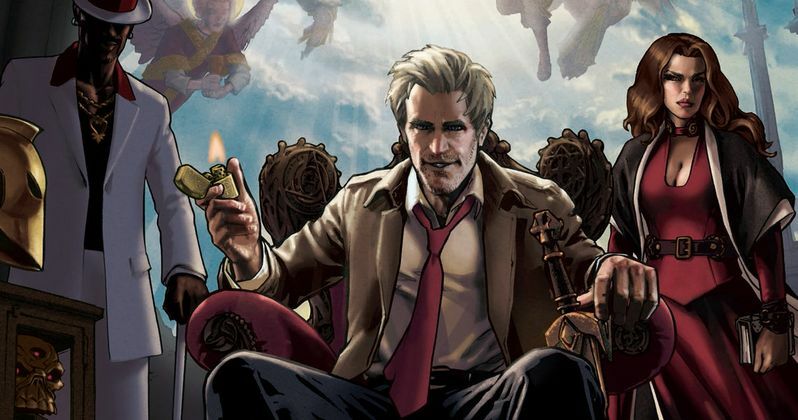 The Fall 2014 TV season is already in full swing, but one of the most anticipated series is still a couple of weeks away, with NBC's Constantine set to debut on October 24. In anticipation of the premiere, the network has sent out a new comic book inspired poster which arrives along with a new teaser trailer. Artist Gene Ha is behind this awesome illustrated one-sheet which is being distributed exclusively to comic retailers. Based on the popular DC Comic Hellblazer, we get our first look at what Matt Ryan would look like inside the pages of the latest issue, seen here as the foul mouthed occultist. This poster is also notable for bringing our first look at iconic character Papa Midnite, to be played by Michael James Shaw.